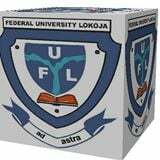 Please has anyone been offered admission to federal university Lokoja? Jamb said it is out but we ain’t seeing our names at all. Someone please reply if you gat info. I just saw the information about the uploading of result please can I still do mine? Yes u should still try cause it’s necessary but don’t panic too much. Success.